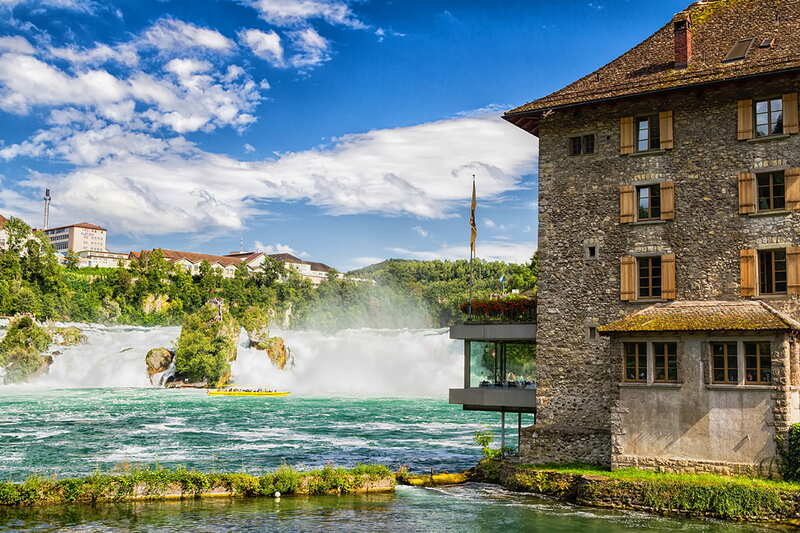 11 day Switzerland, Germany & Eastern Europe tour including return flights, accommodation, breakfast daily, in-depth sightseeing, professional tour manager, transportation and more. per person twin share |	Typically $4,006! 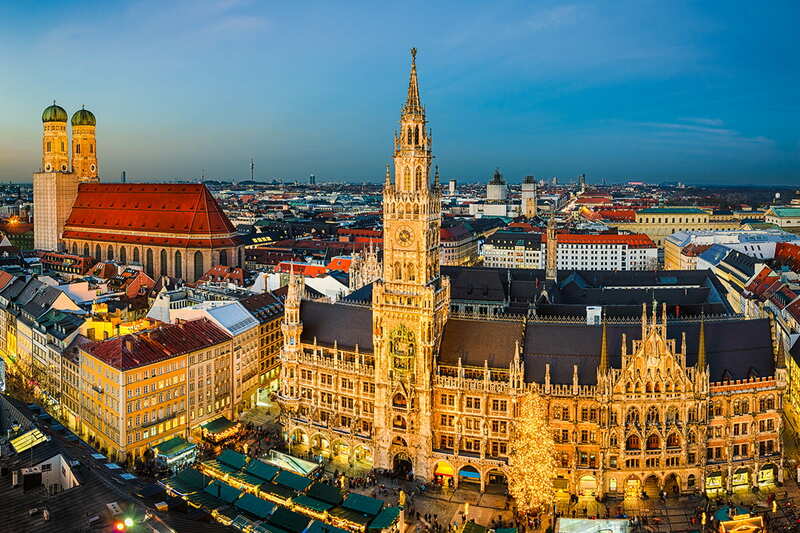 Admire alpine wilderness, charming cities and deep-rooted culture with an 11 day Switzerland, Germany and Eastern Europe tour. 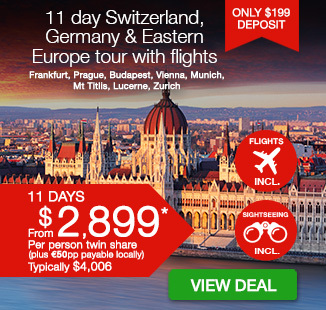 Explore the famous sites of Prague, tour the ‘Pearl of the Danube,’ Budapest, view resplendent palaces in Vienna, discover musical heritage in Salzburg and be impressed by incredible Lake Zurich. Depart Australia today to begin your European getaway! 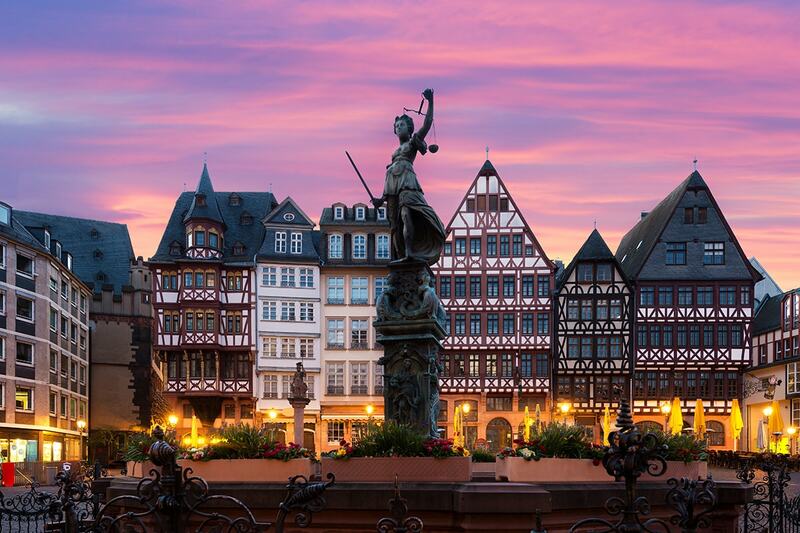 On arrival in Frankfurt you will be transferred to your hotel. After check-in the rest of the day is at leisure. Your Prague adventure begins with a spectacular walk along the Royal Route, following the traditional coronation path of the kings and queens of old Bohemia. You’ll start from the top of Castle Hill in the Hradcany district, famous for its views over the red-roofed old city, and then tour Prague Castle. The castle has been the historic seat of Bohemian royalty since the 9th century, as well as home to the nation’s presidents in recent times. Your exploration then continues to the imposing gothic St. Vitus Cathedral, the Old Royal Palace, St. George’s Basilica and along Golden Lane, an ancient thoroughfare lined with some wonderful traditional buildings. 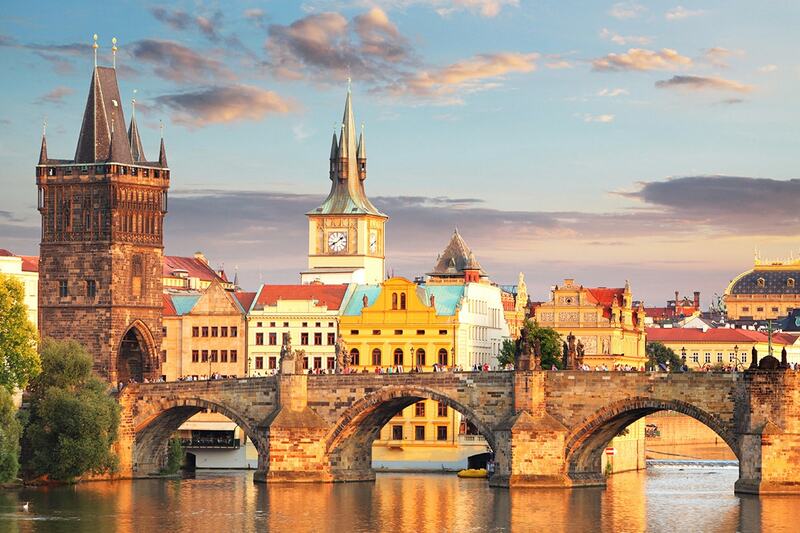 Later you will stroll across the iconic Charles Bridge, which arches gracefully over the Vltava, and on through the winding alleys to the Old Town Square, where you can see the City Hall and one of Prague’s most well-known sights, the Astronomical Clock. 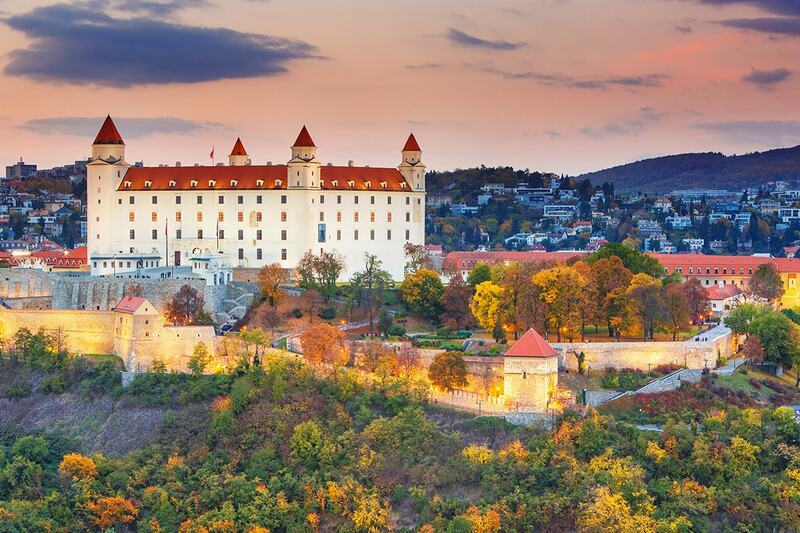 After lunch in the square, you’ll make the scenic transfer from Prague to the Slovakian capital, Bratislava – home to another glorious Old Town. Here you’ll pass through the heart of the city by coach, with views of the magnificent Bratislava Castle and St. Martin´s Cathedral. Today sees you arrive in Hungary, the fourth country of the tour. Its capital, Budapest, is known as the Pearl of the Danube, and is essentially two different cities joined together: Buda on the west of the river, Pest on the east, each with its own distinct characteristics. After a morning of activity, you’ll relax over lunch at Buda Palace, and then have a chance to look at the exhibitions in the Budapest History Museum and Hungarian National Gallery, or do a spot of souvenir shopping. Next you’ll explore both sides of the city on a cultural and historic tour. 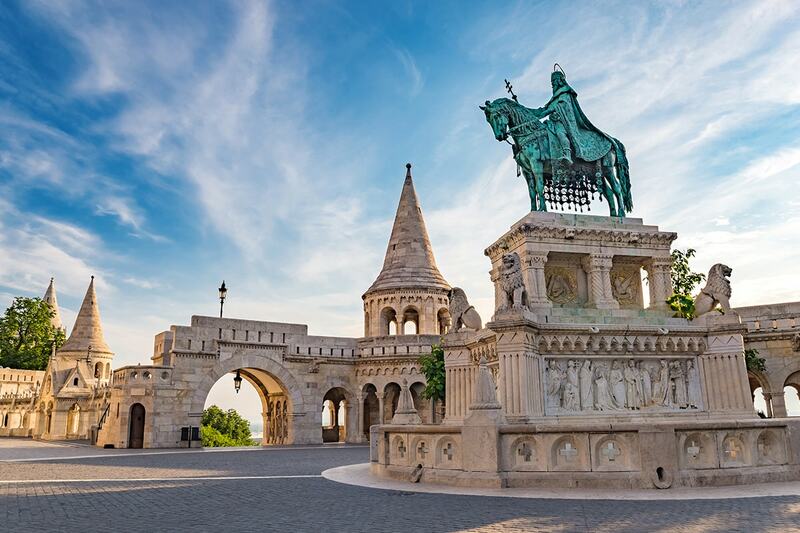 Highlights on the Buda side of the Danube include the towered terrace of Fisherman’s Bastion, the medieval Matthias Church and a walk up to the summit of Gellért Hill for panoramic views. 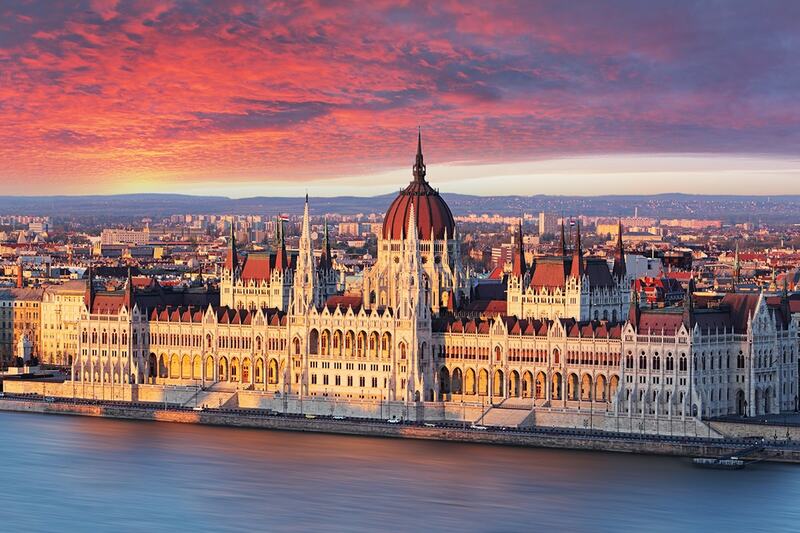 While over in Pest the sights include the expansive Heroes’ Square and Hungary’s dramatic riverside Parliament Building. Optional Tour: In the evening, you can choose to round off an eventful day with an optional dinner in the heart of Budapest, where you can sample traditional dishes such as goose liver, goulash, duck leg and local wine, accompanied by Hungarian folkdance and music. Today starts with a short journey to another of Europe’s grand capitals, Vienna, where you’ll get to explore the Austrian city’s resplendent palaces, striking churches and prestigious art museums. Your Vienna adventure begins at one of the city’s most popular attractions, Schönbrunn Palace, the Rococo-style summer residence of the Habsburg dynasty, rulers of Europe and the Catholic Church for many decades. 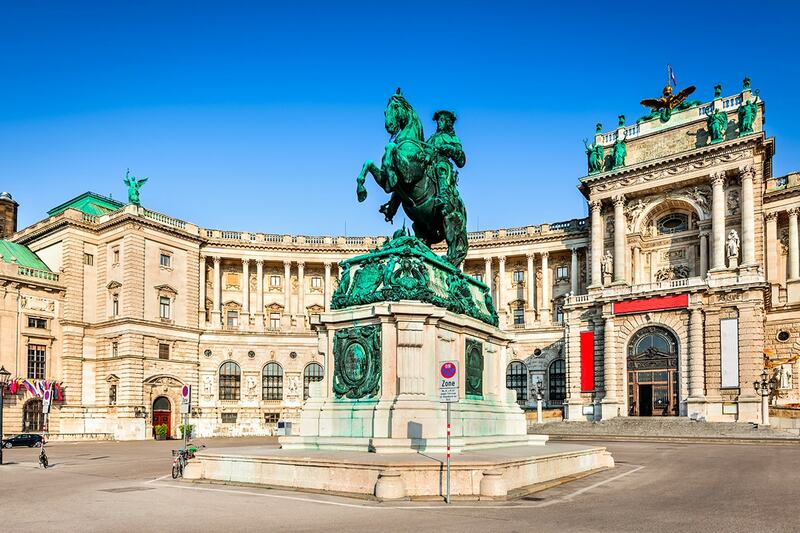 After lunch in this refined setting, you will take a driving tour past many grand, famous buildings, including the City Hall, the Austrian Parliament, Hofburg Palace and Heroes’ Square. In the afternoon, you’ll have some shopping time, before adding the Wiener Staatsoper (opera house) to your checklist of key Vienna buildings. 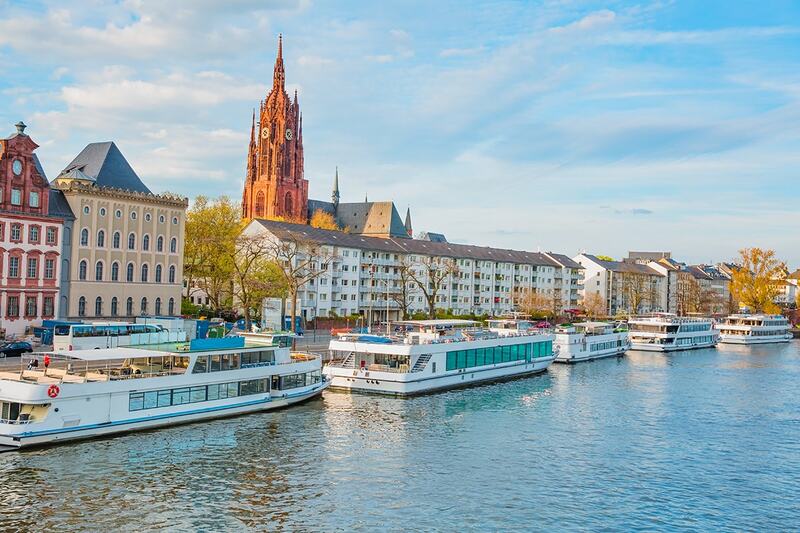 Optional Tour: Later, opt for dinner in the heart of the city or visit St. Stephen’s Cathedral, before taking a stroll in Stadtpark, which is known for its range of sculptures, including the famous gilded bronze statue of “The Waltz King” Johann Strauss II. In the evening, we recommend the option of attending a Viennese waltz concert, which will allow you the unforgettable experience of hearing the music of Mozart and Strauss in the place where it was composed. From Vienna it’s on to another Austrian gem, Salzburg. The city’s beautiful historic centre, listed by UNESCO as a World Heritage Site, is characterized by numerous baroque buildings, and is one of the most picturesque places in Europe. 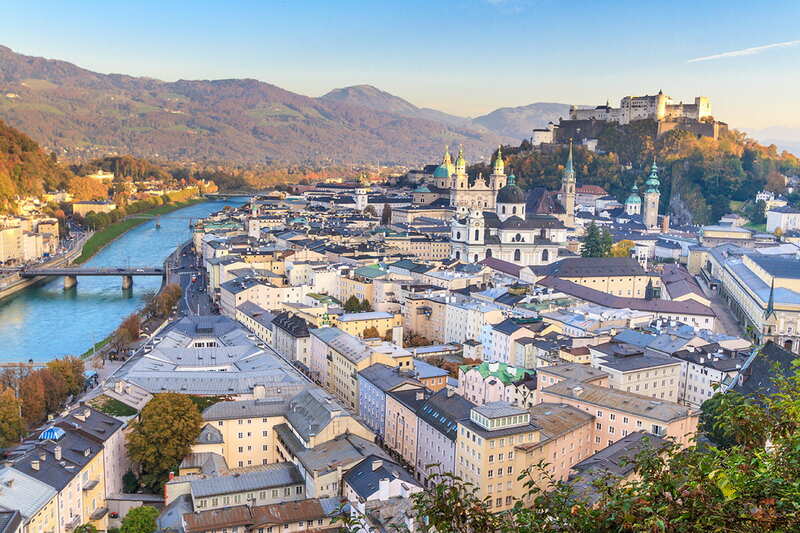 Salzburg is also famous for its musical heritage, being both the birthplace of Mozart, and also connected with hit musical The Sound of Music. You’ll get the chance to see from the outside the house where Mozart was born, explore the city further at your leisure and also have lunch in Salzburg, before heading across the German border to Munich in the afternoon. You’ll leave the big cities behind on Saturday morning and head for one of the world’s most famous mountain ranges – the Swiss Alps. 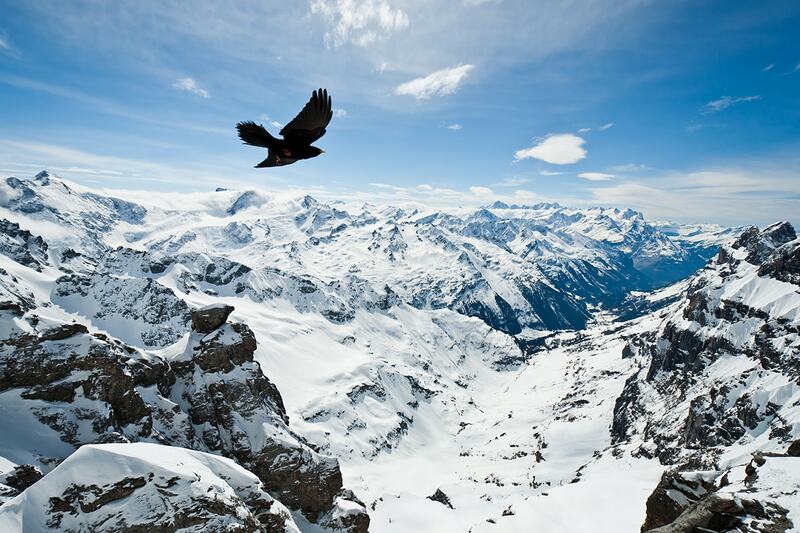 The first destination is Engelberg, the stunning Swiss resort. From here you can opt to board a cable car that takes you to the summit of the impressive Mount Titlis. To reach to the top of the permanently snow-covered Mt. Titlis is by a combination of gondolas over 3 stages. You’ll ascend the last stage by the world’s first revolving gondola the Titlis Rotair, that delivers spectacular views of the valleys, glaciers, lakes and forests below, and 360˚ vistas of the surrounding mountains. At the summit the sun terrace is the perfect place to pause and appreciate the breathtaking panoramas. There’s a 150-metre ice cavern through the core of a glacier to explore at the top. Other highlights include walking across Europe’s highest suspension bridge for more phenomenal views from Mt. Titlis. You’ll come down from the hills to the lakeside for your next stop. 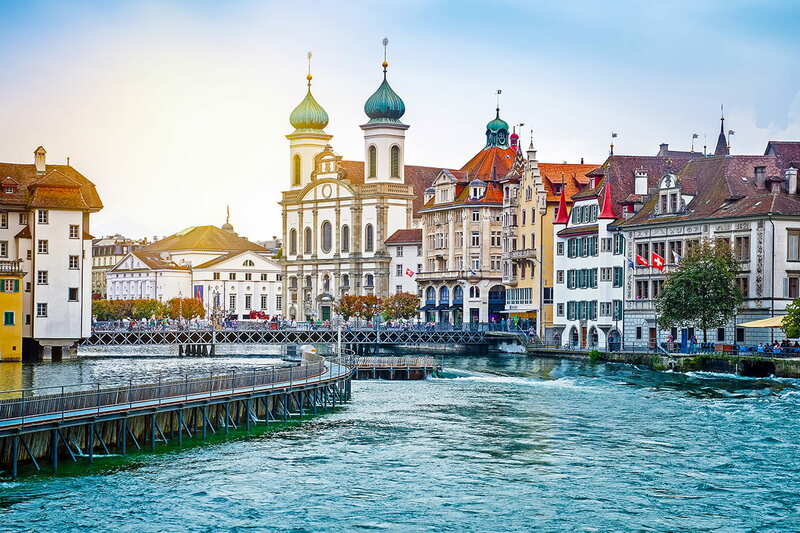 Lucerne is a picturesque city of bridges and towers located in what many people believe to be the “true” Switzerland – picture-postcard mountains, lakes, cowbells, Alpine villages and meadows full of edelweiss flowers. Here you will have time to wander through the charming streets, and see the famous Lion Monument, which Mark Twain once described as “the most mournful and moving piece of stone in the world”. This is a great place to get souvenirs like Swiss watches and fine chocolates, before travelling to the overnight stop in Zurich. 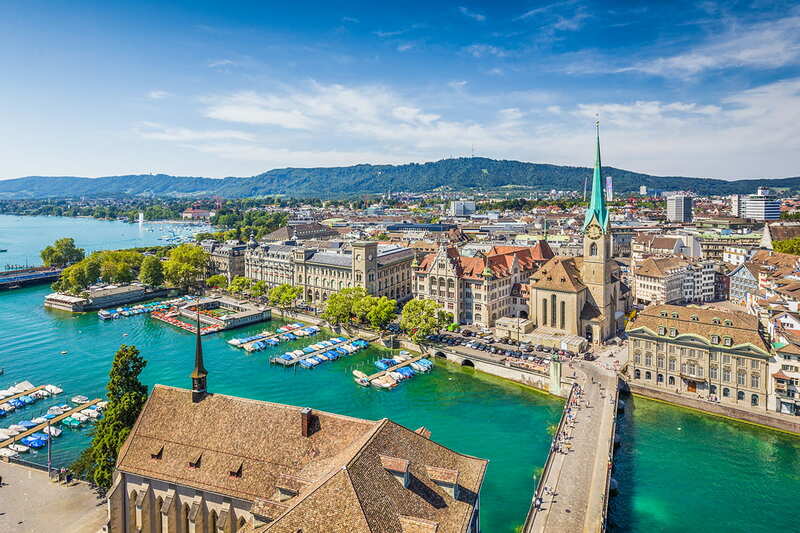 The final day of the tour begins in Zurich, a city with a reputation as a leading global financial centre. There is a chance for a picture stop at the impressive Lake Zurich, before moving on to Rhine Falls, Europe’s biggest waterfall. Next you’ll cross back into Germany and the Black Forest, the ancient fir-covered mountain range, which is famous for its creepy folklore and mythical tales. 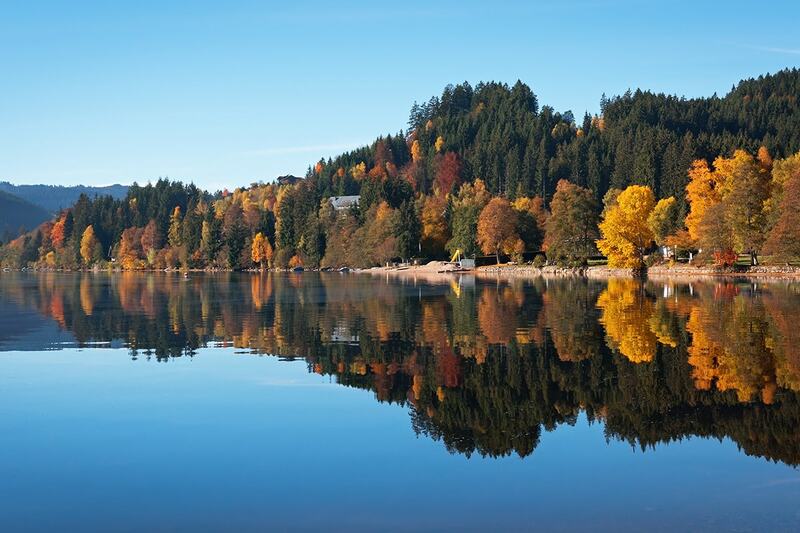 Here you will see the beautiful Lake Titisee, where you can stop at one of the many lakeside cafés to enjoy some of the region’s best Black Forest cherry gateaux. Cuckoo clocks are made in Titisee, making this the ideal place to pick up a few souvenirs from the local shops, and you’ll also get to see a demonstration of how these magical mechanisms work. After breakfast enjoy the morning at leisure before you are transferred to Frankfurt airport to board your overnight night to Australia. NOTE: Please use as reference only as prices are subject to change.